is an example where anyone can watch videos online while connected to the internet. What if you don’t want to be connected to the internet or maybe the internet is intermittent making your video pause multiple times often called buffering? How annoying would that be if you are doing a presentation and your video keeps stopping. Below are steps how to download and watch videos on your computer or on a flash drive without being connected to the internet. Step 1: Find the video you want to copy and paste it to a video to file converter of your choice. There are many to choose from. There are some that offer lots of options for high quality video to simple ones with less options. Some charge a fee or let you try them out first. There’s a few free ones, but could be low quality video. I did find one that was free, simple and good quality video. This video converter https://ixconverter.com, was free to use, seemed to have good quality video and was easy to use. Step 2: Next select .mp4 for video and watch for the upload. Depending which browser you’re using it may be the upper right or lower left. Step 3: Download the file to your computer and/or flash drive and play it on your favorite video player. Your .mp4 video file you just uploaded can be played on most video players. I recommend using http://www.videolan.org if you don’t have one. Now you can play video without any risk of buffering. Helping Realtors With Their Computer Issues. You may find me at my real estate office or walking on the trails of Barkley Hill or drinking my favorite cup of coffee at the local coffee house. One thing is true, the more I work at the office the more Realtors ask me questions about their computer problems. They know I just graduated from the CNET program from Bellingham Technical College. As I continue to apply for full time positions in Computer Networking or Information Technology I have been working to solve my friend’s computer problems at Keller Williams. There are many different kinds of issues Realtors experience. Some questions pop up over and over again. Others rarely come up, but nevertheless involve important issues that every user needs to know about. Solving or problem solving a slow running computer issue. This is probably the most common of the 10 common questions. “How do I speed up my computer?” or “My computer takes forever to boot” or “My computer takes forever to open up a file or document or application?” or “I can’t get on the internet”. There are many reasons why computers run slow. Here is a list to help improve computer speed. Open Computer by clicking the Start button. , and then clicking Computer. Navigate to the folder that used to contain the file or folder, right-click it, and then click Restore previous versions. Now choose an external drive or network location for your backups. 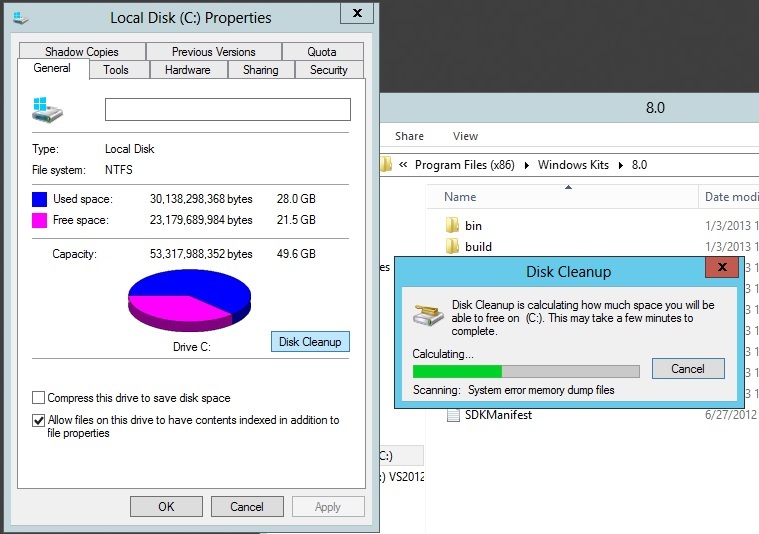 Clean your disk by using Disk Cleanup utility often. Once a week is recommended. Defragment your hard disk drive. DO NOT USE DEFRAGMENT OF YOUR SOLID STATE DRIVE (SSD). This is only to be performed on a mechanical spinning hard disk drive. 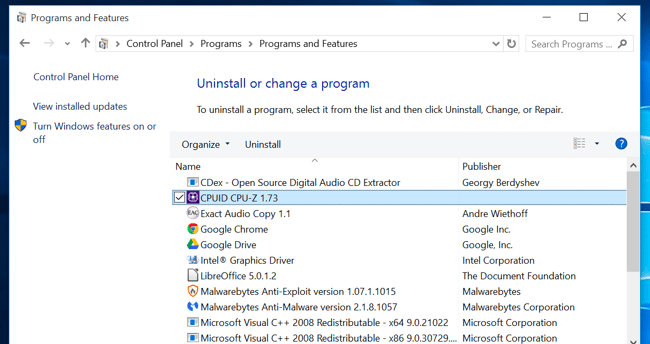 Uninstall programs you don’t use. Be careful not to delete an application that you need. If you don’t know what the application is used for look it up or ask someone who does know. 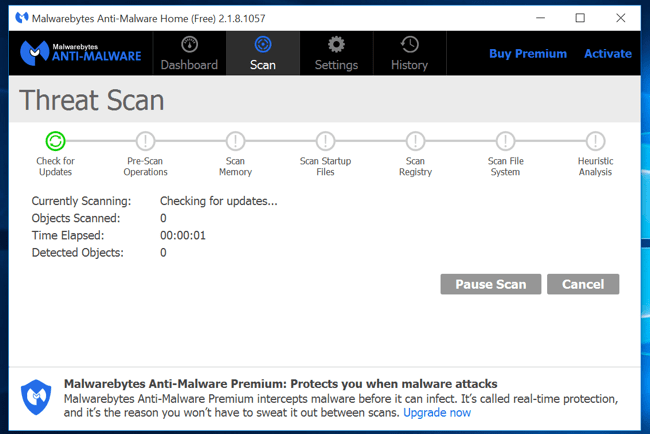 Scan for Malware or Adware.Scan your computer with an antivirus program. You should scan it with Malwarebytes, which catches a lot of “potentially unwanted programs” (PUPs) that most antivirus programs tend to ignore. 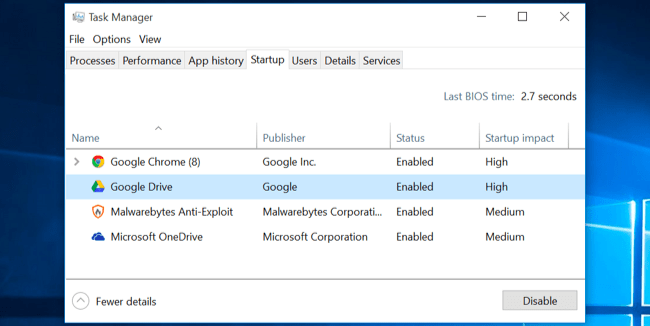 These programs try to sneak onto your computer when you install other software, and you almost certainly don’t want them. Your Malware program might be different than Malwarebytes. I have found that this one works well to protect my computer and seems to not make my computer slow during it’s scanning process. There is a free version and a inexpensive paid version which gives you a few more options. Close you system tray applications or notification area. These applications often launch at startup and stay running in the background but remain hidden behind the up arrow icon at the bottom-right corner of your screen. Click the up arrow icon near the system tray, right-click any applications you don’t need running in the background, and close them to free up resources. Look and monitor the Task Manager. This will help you find resource-hungry applications. A task manager is a system monitor program used to provide information about the processes and programs running on a computer, as well as the general status of the computer. Some implementations can also be used to terminate processes and programs, as well as change the processes priority. Your PC is running slow because something is using up those resources. If it’s suddenly running slower, a runaway process might be using 99% of your CPU resources, for example. Or, an application might be experiencing a memory leak and using a large amount of memory, causing your PC to swap to disk. This is called paging or pagefile. A pagefile is a reserved portion of a hard disk that is used as an extension of random access memory (RAM) for data in RAM that hasn’t been used recently. A pagefile can be read from the hard disk as one contiguous chunk of data and thus faster than re-reading data from many different original locations. 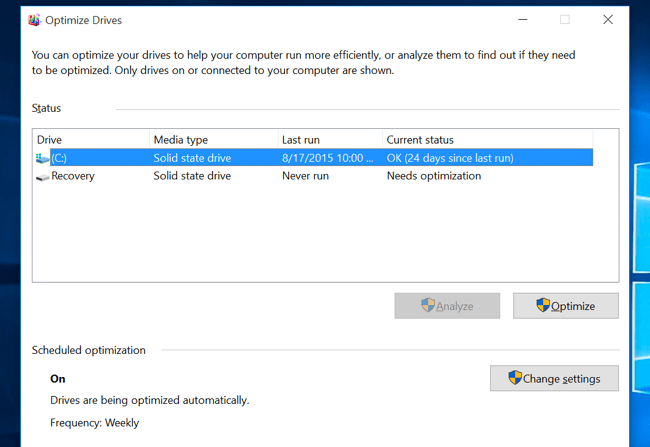 Alternately, an application might be using the disk a lot, causing other applications to slow down when they need to load data from or save it to the disk. Disable startup programs to prevent applications from launching at startup. This will save memory and CPU cycles, as well as speed up the login process. A startup manager in the Task Manager you can use to manage your startup programs. Right-click the taskbar and select “Task Manager” or press Ctrl+Shift+Escape to launch it. 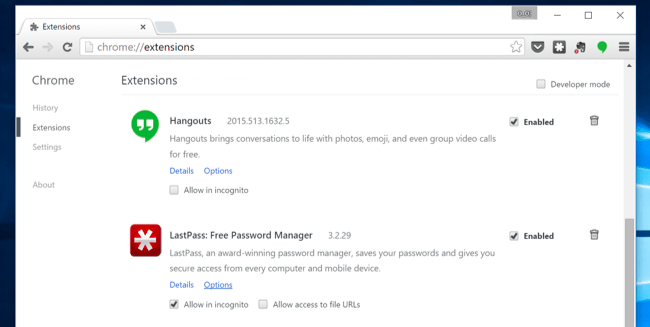 Click over to the Startup tab and disable startup applications you don’t need. Windows will helpfully tell you which applications slow down your startup process the most. Reduce Animations. Windows uses quite a few animations, and those animations can make your computer a bit slower. For example, Windows can minimize and maximize windows instantly if you disable the associated animations. To disable animations, press Windows Key + X or right-click the Start button and select “System.” Click “Advanced System Settings” on the left and click the “Settings” button under Performance. Choose “Adjust for best performance” under Visual Effects to disable all the animations, or select “Custom” and disable the individual animations you don’t want to see. For example, uncheck “Animate windows when minimizing and maximizing” to disable the minimize and maximize animations. Lighten up your web browser. Many situations come up when it takes a long time to access the internet. Once in check your add-ons and extensions. Removing some of them will help speed things up. It’s a good idea to use as few browser extensions, or add-ons, as possible — those slow down your web browser and cause it to use more memory. This list is only a few resolutions to help improve computer speed, but will help with most issues. If you have any particular issue that was not on this list please connect with me and I will look into it for you. If you have no idea what World of Warcraft (WoW) is then this little bit of information may not make sense. I recently was hog tied into submission by my cousin Patrick into playing this new (new?) video game. Oh, I have heard about this video game since it was first introduced in 1994, but never thought I would be interested, until now. WoW can be described in many ways. It all depends on the person how he/she wants to play. One way to describe WoW is as a book, and you, as the player, are a character. It is a Massively Multiplayer Online Role Playing Game (MMORPG) currently played by over 12 million people world wide. Players can choose to be of various races (Elf, Dwarf, Human, etc. ), classes (Warrior, Priest, Druid, and more), and can choose to play against the environment (PvE), against each other (PvP), and roleplay where naming conventions and language restrictions are in place. After installing the game successfully I received this error pictured below. I did as much digging in as possible to find why I was getting this error. With help from tech support. (BTW text tech support is awesome) and a few clicks I was in. First step: search for XBOX. (press windows key and Q). Then, sign in or click enter XBOX (you will need a Microsoft account/email). You may already be signed in. This will take you to your XBOX dashboard. Second step: click on the settings icon on the bottom left. Third step: click on Game DVR and turn off the Record game clips and screenshots slide switch. That is it. Let me know if you know another way to remedy error 132. Taking a look at a couple of client’s network systems. This particular rack is nice because it allows you to have access behind all the devices. It also has a workstation to work on and a air conditioner to keep everything cool including me. This one is ok that is in a small closet. There is not a lot of space behind the devices, has a small pull out workstation and does not have a air conditioner. Therefore, they need to keep the door open during the day to keep from getting too warm. This, of course, is not as secure. Today’s issue is about a user who cannot remember the password to access a Windows 7 Dell Latitude laptop. Step 1: Bring up the boot menu and boot up Hiren BootCD from the DVD/CD. The beginning of the projector project. This picture below is the original projector mount. Unfortunately our new projector will not work on the old mount. So, I have to do some modifications. In addition to a new mount it needs 2 new HDMI cables, 1 VGA cable. Here are the two new HDMI VGA cables that need to be pulled through the ceiling and down inside the wall. All cables have been pulled through. One of the HDMI is plugged into the sound system. The new projector, mount, and cables. The screen needs adjusting for the right height and to the left a little bit. Moving the project makes the picture screwy. After making the physical adjustments you adjust the lens so that the picture is squared. Now this looks like a conference room to hold a meeting or presentation. The network at the office is almost complete. I will show you some of the network progress. Stage 1: Organizing cable into the patch panel. Stage 2: Cables are neatly patched. The blue and white are going to the cubicles, workbenches and offices. The blue cable on the right are for the office phones. The view behind the patch panel. Stage 3: The beginning of getting the cubicles, workbenches and offices connected. State 4: Most of the cables plugged in with appropriate length patch cables including the phones. Thank you PogoZone for connecting our fiber. We should have close to gigabit per second speed. Optical fiber is used by many telecommunications companies to transmit data. Due to much lower attenuation and interference, optical fiber has many advantages over existing copper, ethernet, in long-distance and high-demand applications. However, infrastructure development within cities was relatively difficult and time-consuming, and fiber-optic systems were complex and expensive to install and operate. Due to these difficulties, fiber-optic communication systems have primarily been installed in long-distance applications, where they can be used to their full transmission capacity, offsetting the increased cost. Since 2000, the prices for fiber-optic communications have dropped considerably. The Dell PowerEdge T300 network server and the universal power supply (UPS) to the left. The phones are connected.These are power over ethernet cable. This is how the phones receives its power as well as communication. The new Grandstream phones from PogoZone. Stage 5: A little messy, but everything is working. Two more speed tests just for fun. The service level of your internet service provider (ISP) account is typically based on the promised download speed when you first signed up, usually expressed in megabits per second (Mbps). A speed test verifies your download speed as well as other related data, including upload speed and network latency. Download speed tells you how quickly your internet data is transferred to your computer in Mbps. Upload speed describes how quickly you are able to upload content to the Internet. This is important if you use your Internet to regularly share personal videos, music, and images. Latency, which is the most important test, is the amount of wasted time in a computer network. The amount of time it takes data to travel from one computer to another on the network expressed in milliseconds. This is often referred to as a ping test. The bottom line is that performing regular internet speed tests gives you the basic idea to begin to diagnose any download, upload and latency problems on your network. Here is the conference room workstation. I’m still at Tech Help. My application was sent in last week and this week they are getting around to let me know if they want to hire me. I am still assisting in getting the office together as well as going on client visits. Todays visit is at a local real estate company with a fax/printer issue. The problem is they can send faxes, but can’t receive them. So, I followed these instructions that are for the printer. Within the first line “check the DNS server is correctly programmed.”. I check the DNS setting on the printer. It was configured 8.8.8.8, second 8.8.4.4 and 75.75.75.75. OMG these are all outside the local network. Then I checked the server’s DNS. It was configured 172.20.20.5 /24. I went back to the printer and reconfigured it to the server’s DNS. That fixed the faxing issue. This is Tracy’s desk. Look how clean and organized it is. However, this is not normally this clean. In a few days you will not see the top of his desk for the rest of the year. There will be many computer parts, paperwork and lots of other things. Having a clean, well organized desk is not as important as the person who sits at this desk. This is the person who I am so grateful; Tracy the extraordinare. He is the kind of person who has your back when you need it. It was Tracy who had my back and helped me get the internship for my school requirements at Tech Help. It takes a special person like Tracy to give up his cleaning his desk time to help someone like me. A special thank you for everything you’ve done for me.